It’s a good question to ask – and an important thing to know. Whether you’re planning to sell a business, acquire a company, or pass your business down to a family member, you need to be sure that you’re valuing it properly. Let’s start by talking about why business valuation matters. Imagine that you’re planning to sell your business. Perhaps someone makes an offer. It sounds like a lot of money – but can you be sure that you’re not undervaluing your business? The short answer is no, you can’t. A lot of business owners make the mistake of using a “nuts and bolts” approach to valuation that leaves them short of their company’s true market value. That’s because a business’s worth is about more than the bottom line. Often, there are intangible things that add to its value. For example, a strong brand name with a great reputation is going to be worth more than a brand that nobody’s heard of. You can see why getting a proper valuation of your business (or a business you’re buying or merging with) is essential. Without it, you might undervalue or overvalue a business – and that can cause problems down the line. The most common mistake business owners make when they’re estimating the value of their business is using what we call “book value.” We understand why that happens, but we also know how dangerous it can be to focus on the wrong things when estimating the value of a business. Book value is the value of a company based on facts and figures. Specifically, it uses balance sheet assets minus liabilities to arrive at a value. Why is that a problem? Most business are sold for more than their book value. The reason is that your company’s balance sheet shows your assets at their original cost, minus accumulated depreciation instead of using the true replacement value. Imagine that you bought a piece of equipment for $30,000. The accumulated depreciation is $8,000, leaving the machine with a value of only $22,000. That’s an issue because the same machine might cost $35,000 to replace. That’s its fair market value. As we mentioned earlier, there are intangibles to take into consideration too – and they don’t show up on a balance sheet. Calculating the book value of your business may be helpful as a starting point, but it’s not enough to help you understand what it’s truly worth. The fair market value of a business is the price at which it can change hands between a willing buyer and a willing seller when both have reasonable knowledge of the facts that relate to its value. It might be helpful to think of what market value is when you’re buying a home. When it’s a seller’s market and prices are high, buyers are willing to pay a high price to get the home they want. Their conception of its value relates to many things, including the condition of the home, its size, its location, and what other homes in the area have sold for. In other words, the fair market value of your business is what someone is willing to pay for it based on a reasonable assessment of both your tangible assets and the intangible things that might not show up on your balance sheet, including your business name, reputation, and brand. Capitalization of earnings. This method starts by calculating the business’s annual earnings over one or several years. Then, the earnings are divided by a “cap rate.” For example, a company that had annual earnings of $300,000 and a cap rate of 10% would have an estimated value of $300,000/10%, or $3 million. Discounted cash flow. This is a method that’s sometimes used to estimate the value of new business or companies whose earnings are volatile. It starts with forecasting earnings over several years. Then, to account for the value of money over time, a discount rate is applied to each year of forecasted earnings. Comparable sales and discounts. This method is akin what happens when a real estate agent sets a sale price for a home based on the sales prices of other homes in the area. It analyzes recent sales of similar companies in the same industry to arrive at the market value of a business. The methods used may vary from appraiser to appraiser, but the goal is always to arrive at a number that is fair to both the seller and the buyer. If you’ve been thinking about the value of your business, you might have looked around to see what your options are. When it comes to business valuation, it’s important to remember that you get what you pay for. For example, there are low-cost business valuation software options. Their prices may be attractive when compared to hiring a professional appraiser. They’re inexpensive, but will they really provide you with an accurate value for your business? The truth is that there’s no substitute for the experience of a professional appraiser. Software can help you crunch numbers and evaluate the bottom line, but it’s not going to be able to understand the nuances of your business. The cost of a professional appraisal can range from several hundred dollars to tens of thousands of dollars. The size and complexity of your business, your industry, and other factors can impact the cost. 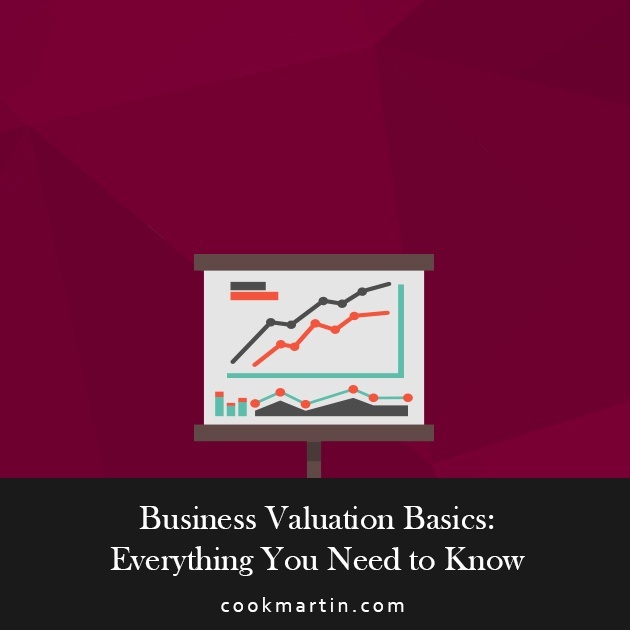 At Cook Martin, we have a team of experienced business valuation experts who can appraise your business and arrive at the proper value. 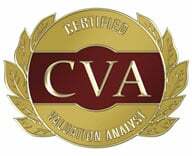 We are Certified Valuation Analysts (CVAs), a credential that’s widely recognized in the business valuation. Specifically, it meets the standards for the IRS, the court system, and various other authorities. Our valuation services adhere to the professional standards of the American Institute of Certified Public Accountants (AICPA) and the National Association of Certified Valuators and Analysts (NACVA). To learn more about our business valuation services or to book a free consultation to speak with one of our valuation experts.